As you endeavor for your noble cause, you feel confidently protected with the Laurin Steel Great Helm upon your head. 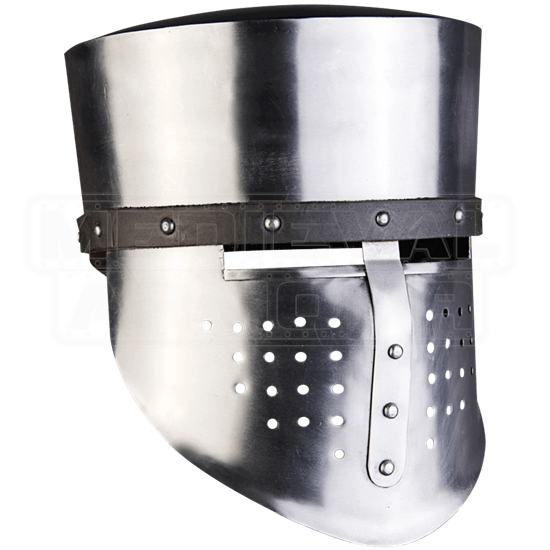 This handmade steel helmet is inspired by those popular with Crusading knights during the High Middle Ages. A leather band riveted at the bottom edge of the cylindrical, flat-topped skull adds a touch of refinement to this historic helmet. Beneath this browband, an attached face plate offers protection for both the front and sides of the face. Narrow eye slits allow for sight while round cut-outs along the lower portion provide ventilation. A narrow strip, extending from the edge of the cap portion, is riveted to the face plate in semblance of a nasal guard, reinforcing its strength. It also includes a chinstrap to hold it securely and comfortably on the head. 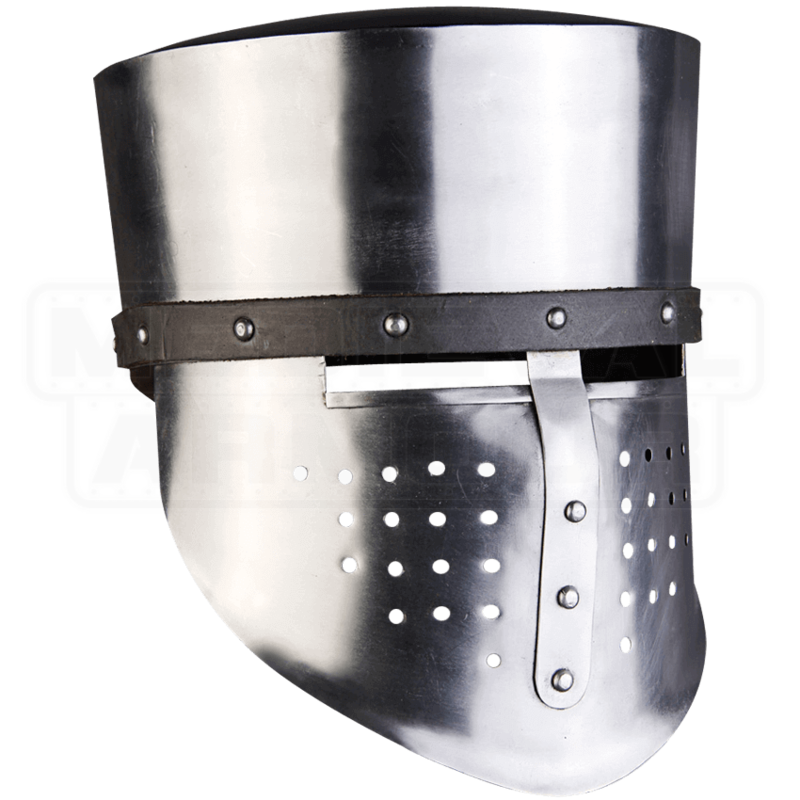 Ideal headwear for a knightly characters, this medieval great helm is suitable for LARP and costume use. For best comfort and safety, wear it over a padded arming cap.